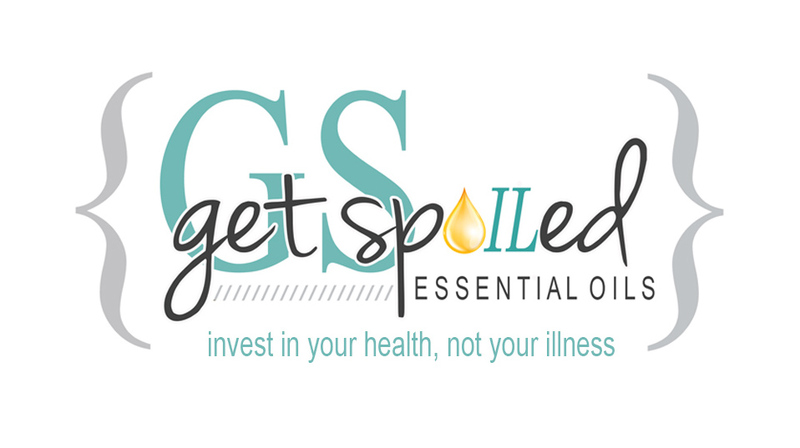 Everyday Oils - These oils are included with the purchase of a Premium Starter Kit. CLICK the Oils below for more info on that oil. Flex Oils - In the event that one of the above oils is out of stock, at the time of your order, a flex oil will be substituted to ensure the earliest arrival of your Premium Starter Kit. HEALTHY PETS MAKE HAPPY OWNERS! MOST PEOPLE THINK OF THEIR PETS AS A PART OF THEIR “FAMILY”. WE ALL USE YOUNG LIVING ESSENTIAL OILS ON OUR FAMILIES, SO OUR PETS DESERVE NO LESS! LIKE OUR FAMILY, OUR PETS CAN ALSO SUFFER FROM OCCASIONAL DISCOMFORTS, AS WELL AS NEEDING HELP IN PROMOTING THEIR HEALTH. ONE SOLUTION IS THE USE OF ESSENTIAL OILS. HUMANS HAVE USED ESSENTIAL OILS FOR CENTURIES FOR VARIOUS HEALTH APPLICATIONS. HOWEVER, WITH THE ADVENT OF “MODERN MEDICINE’, ESSENTIAL OILS LEFT THE MINDS OF MANY AMERICANS. FORTUNATELY, THE USE OF ESSENTIAL OILS HAS FOUND ITS WAY BACK INTO OUR HOMES AND OUR HEARTS! ANIMALS OFTEN EAT PLANTS IN THEIR EVERYDAY ROUTINE. OFTEN YOU WILL FIND A CAT OR DOG EATING A PLANT IN ORDER TO SETTLE THEIR STOMACH, OR TO PROMOTE VOMITING. ANIMALS LOVE PLANTS. FRESH PLANTS HAVE THE POWER OF ESSENTIAL OILS, THE “LIFEBLOOD” OF THE PLANT. IT SHOULD COME AS NO SURPRISE THAT OUR PETS CAN BENEFIT FROM ESSENTIAL OILS JUST AS WE DO, IF USED PROPERLY. THE YOUNG LIVING EVERYDAY ESSENTIAL OILS KIT CONTAINS 9 OILS THAT CAN PROMOTE OPTIMAL HEALTH AND WELLNESS IN YOUR PET. • USE FOR AN ANNOYANCE FREE OUTDOOR EXPERIENCE FOR YOUR PET. • TICKS, FLEAS, AND MOSQUITOES DO NOT LIKE THE AROMA OF PURIFICATION. • WILL NOT KILL INSECTS. • FOR BIRDS, MIST THE CAGE WITH THE DILUTION, ACCCORDING TO THE CHART FOR BIRD APPLICATION. • REAPPLY AS NEEDED WITHOUT THE FEAR OF TOXIC EFFECTS. • USEFUL IN ALL PETS FOR FEAR, BEHAVIOR, AND IN TRAINING. • USEFUL FOR SKIN, OCCASIONAL ITCHING AND REDNESS. • USE IN A DIFFUSER OR ON A COTTON BALL FOR APPLICATION. • PLACE A FEW DROPS ON THEIR COLLAR. • CAN ALSO BE COMBINED WITH OTHER STRESS RELIEVING OILS. • USEFUL FOR CAR RIDES AND TIMES OF EXCITEMENT. • USEFUL WITH VALOR FOR ADDED POSITIVE BEHAVIOR CHANGE. • THE COMBINATION BUILDS CONFIDENCE TO FACE TREATMENT OR A CROWDED ENVIRONMENT. • PROMOTES A PEACEFUL GROOMING EXPERIENCE. • PLACE A FEW DROPS ON THE COLLAR, BLANKET, BEDDING, TOYS, OR PET CLOTHING. • SUPPORTING TO THE MUSCLES AND BONES FOR OCCASIONAL STRESS AND MILD INJURY. • CAN BE USED WITH CATS IF PROPERLY DIULTED. • CAN BE HELPFUL TO PROMOTE COMFORT IN CATS WHO SUFFER FROM OCCSIONAL BLADDER DISCOMFORT. • USE TOPICALLY IN A WARM COMPRESS, RAINDROP TECHNIQUE, VITA FLEX POINTS, AND ON ACCUPUNCTURE POINTS. • GREAT FOR OLDER PETS WHO HAVE OCCASIONAL STIFFNESS. PROMOTES RELAXATION OF THE MUSCLES, JOINTS, AND TENDONS. • ADD TO PANAWAY REGIME FOR MAXIMUM COMFORT. • COOL AN OVERHEATED HORSE OR DOG; COOLS QUICKLY. • CAN BE USED WHILE ON LONG RIDES OR HIKES, IN A DROP OF WATER TO PROMOTE INTERNAL COOLING. • DILUTE WELL FOR CATS. • PROMOTES COMFORT FOR OCCASIONAL STRESS AND MILD INJURY. • CAN BE USED IN ALL PETS IF DILUTED PROPERLY. • PROVIDES MAXIMUM COMFORT, PARTICULARY FOR DENTAL. • ESPECIALLY USEFUL IN TICK REMOVAL. • CAN BE USED TOPICALLY, RAINDROP, VITA FLEX POINTS, DIFFUSION, OR INTERNALLY. • USED TO INCREASE AWARENESS IN TRAINING OR IN COGNITIVE ISSUES. • EXCELLENT TO PROMOTE HEALTH OF THE SKIN. • CAN BE USED TOPICALLY, DIFFUSED, OR INGESTED. • IDEAL FOR COMFORT WHILE OUT BIKING, RIDING, OR HIKING. • WHEN COMBINED WITH PEPPERMINT AND/OR PAN AWAY, PROMOTES MAXIMUM COMFORT. • PROMOTES HEALTH IN GASTROINTESTINAL TRACT AND PARASITES ARE NOT FOND OF LAVENDER. • CALMING & RESTORES HEALTHY SLEEP PATTERNS. • SAFE AND LESS STRONG IN ODOR THAN MOST OILS, MAKING IT A FAVORITE AMONG SMALL ANIMALS AND BIRDS. • CAN BE USED IN EVERY ASPECT OF PET CARE: SKIN, EMOTIONS, HEALTH, BEHAVIOR, ETC. • DILUTION IS STILL RECOMMENDED, AS IS ALSO LAVENDER. THE FAMILY PET CAN USE THE ESSENTIAL OILS MUCH IN THE SAME WAY AS YOU DO. ONE OF THE FIRST WAYS THE OILS BENEFIT THE PET IS BUILDING THE IMMUNE SYSTEM. AS YOU DIFFUSE YOUR OILS, IN YOUR HOME, YOUR PET WILL ALSO BEGIN TO REAP THE BENEFITS, JUST AS YOU ARE BENEFITTING. WITH THE INCREASING NUMBERS OF TOY BREEDS AND THE GROWING “DESIGNER DOGS”, UNFORTUNATELY, THEIR HEALTH IS NOT ALWAYS PROTECTED. THEY LACK A STRONG IMMUNE SYSTEM AND BY SUPPLEMENTING YOUR PET WITH YOUNG LIVING SUPPLEMENTS, YOU CAN ENSURE THEY ARE GETTING A HEALTHY BOOST. ALTHOUGH THE SUPPLEMENTS ARE MADE FOR HUMANS, SOME SIMPLE MODIFICATIONS CAN BE MADE, MAKING IT POSSIBLE FOR YOUR PET TO RECEIVE THE SAME SUPPORT YOU DO. YOUR PET’S DOSE IS BASED ON HIS SIZE. EVEN THE SMALLEST PET CAN USE SUPPLEMENTS. RAVEN: SUPPORTS RESPIRATORY AND URINARY SYSTEM. COMPLEMENTS R.C. WELL. IMMUPOWER: SUPPORTS IMMUNE SYSTEM, PROMOTES WELLNESS. EXODUS II: SUPPORTS IMMUNE SYSTEM, PROMOTES WELLNESS. THYME: SUPPORTS IMMUNE SYSTEM AND RESPIRATORY SYSTEM. MELROSE: SUPPORTS RESPIRATORY SYSTEM. WORKS WILL WITH R.C. & RAVEN. SUPPORTS SKIN & URINARY SYSTEM, ESPECIALLY IN CATS. EUCALYPTUS (ALL VARIETIES): SUPPORTS RESPIRATORY SYSTEM, ESPECIALLY IN HORSES. MELALEUCA (ALL VARIETIES): SUPPORTS SKIN, IMMUNE SYSTEM, AND RESPIRATORY SYSTEM. M GRAIN: SUPPORTS RESPIRATORY SYSTEM DURING POLLEN SEASON. RELIEVE IT: SUPPORTS COMFORT, ESPECIALLY WHEN COMBINED WITH PAN AWAY. COPAIBA: ENHANCES THE EFFECTS OF ALL OILS AND IS USEFUL TO APPLY AFTER ANY OIL. DISCOVERING THE SOURCE OF THE BEHAVIOR PROBLEM SHOULD BE DONE, INSTEAD OF BLAMING YOUR PET. THE POSSIBILITY OF A MEDICAL PROBLEM SHOULD BE RULED OUT AND THOROUGHLY EXPLORED. A MEDICAL WORK-UP CAN PROVIDE VALUABLE INFORMATION AND MAY LEAD TO ELIMINATING THE UNDESIRED BEHAVIOR. ONCE YOU HAVE DETERMINED THAT NO MEDICAL PROBLEM EXISTS, YOU MAY CHOOSE TO UTILIZE ESSENTIAL OILS TO HELP DETER THE UNWANTED BEHAVIOR. ESSENTIAL OILS CAN BE USEFUL FOR BOTH THE OWNER AND THE PET IN THIS SITUATION. DIFFUSING OILS THAT PROMOTE A PEACEFUL ENVIRONMENT CAN HELP CALM BOTH PET AND OWNER. BEHAVIOR MODIFICATION FOR THE PET ONLY WORKS IF THE OWNERS ARE IN THE RIGHT MIND SET. THIS IS WHERE IT ALL BEGINS! PETS CAN GREATLY BENEFIT FROM CALMING OILS. THESE OILS ALLOW THE PET TO CONCENTRATE ON THE NEW BEHAVIOR CHANGE THAT IS DESIRED. IT ALLEVIATES THE STRESS AND DIRECTS THE MIND OF THE PET TOWARD A TASK AT HAND. AS ALWAYS, THE CALMING OILS HELP THE OWNER AS WELL. FOR ANY BEHAVIOR CHANGE TO TAKE PLACE, THE ENVIRONMENT HAS TO BE CALM. USING OILS FOR BEHAVIOR CHANGES HAS HAD ENCOURAGING RESULTS. HOWEVER, THE OILS MUST BE IN USED IN CONJUCTION WITH BEHAVIOR MODIFICATION FOR THERE TO BE A LASTING EFFECT ON THE PET. THEY ARE NOT A “QUICK FIX” AND WILL FAIL IF THE ISSUES ARE NOT DEALT WITH. THIS CAN TAKE TIME AND CAN BE FRUSTRATING. CONSISTENCY IS PARAMOUNT! FOR BEHAVIOR PURPOSES, OILS ARE BEST APPLIED TOPICALLY TO THE COLLAR, OR DIFFUSED. DIFFUSING THEM IN THE PET’S HOME, BEFORE THEY ENTER, ALLOWS THEM TO ASSOCIATE THE DESIRED BEHAVIOR WITH THE SCENT, CREATING A MEMORY, THEREBY INCREASING THE CHANCE OF LEARNING A NEW BEHAVIOR. ALL THE ESSENTIAL OILS RECOMMENDED HAVE BEEN USED SAFELY, BUT ULTIMATELY YOU ARE TO ACT AS A RESPONSIBLE PET OWNER AND DO ADEQUATE RESEARCH REGARDING THE USE OF ESSENTIAL OILS ON YOUR OWN “FUR BABIES”. THE FOLLOWING DILUTIONS ARE RECOMMENDATIONS. PROPER DILUTION IS VERY IMPORTANT IN USING THE OILS SAFELY. Your favorite YL Oily Tips! Checkout this video if you have a minute: Starter Kit Unboxing from Young Living on Vimeo. Wellness is defined as harmony between the mind, body, and spirit. Offering natural remedies to life’s imbalances, essential oils create true wellness when in their raw form, as an ingredient in nutritional supplements, or as part of essential living. Medical Disclaimer:The information contained on this website is not meant to diagnose, treat, cure, or prevent any disease. The information represents what I, an Independent Distributor of Young Living Essential Oils, have chosen to do to take charge of my own personal health and that of my family. Statements on this website have not been evaluated by the Food and Drug Administration. Products on this site are not intended to diagnose, treat, cure or prevent any disease. If you are pregnant, nursing, taking medication, or have a medical condition, consult your physician before using these products.Information found on this site is meant for educational and informational purposes only, and to motivate you to make your own health care and dietary decisions based upon your own research and in partnership with your health care provider. It should not be relied upon to determine dietary changes, a medical diagnosis or courses of treatment. Individual articles and information on other websites are based upon the opinions of the respective authors, who retain copyright as marked.Website Disclaimer: Get Spoiled is NOT owned or operated by Young Living Essential Oils. By viewing this website, you agree to these terms.The information contained in this website is for general information purposes only. The information is provided solely by Get Spoiled and while we endeavor to keep the information up to date and correct, we make no representations or warranties of any kind, express or implied, about the completeness, accuracy, reliability, suitability or availability with respect to the website or the information, products, services, or related graphics contained on the website for any purpose. Any reliance you place on such information is therefore strictly at your own risk.In no event will we be liable for any loss or damage including without limitation, indirect or consequential loss or damage, or any loss or damage whatsoever arising from loss of data or profits arising out of, or in connection with, the use of this website.Through this website you are able to link to other websites which are not under the control of Get Spoiled. We have no control over the nature, content and availability of those sites. The inclusion of any links does not necessarily imply a recommendation or endorse the views expressed within them.Every effort is made to keep the website up and running smoothly. However, Get Spoiled takes no responsibility for, and will not be liable for, the website being temporarily unavailable due to technical issues beyond our control.